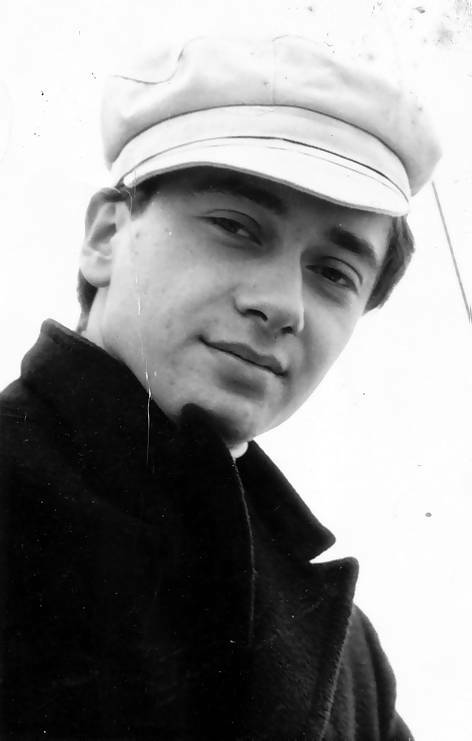 Angus Boucher was a big fan of ‘The Tower Of Power’, Radio City, and was in regular correspondence with its disc-jockeys. 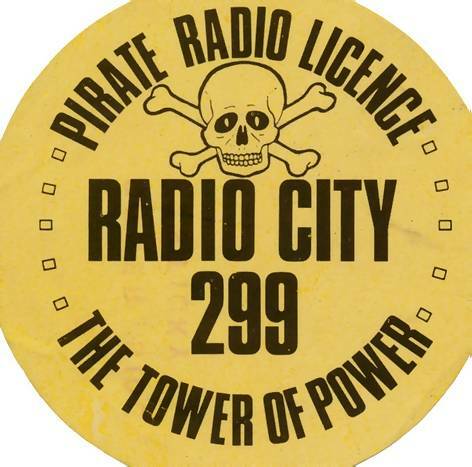 He has very kindly contributed these long-treasured letters, photographs and items of Radio City memorabilia to The Pirate Radio Hall of Fame. 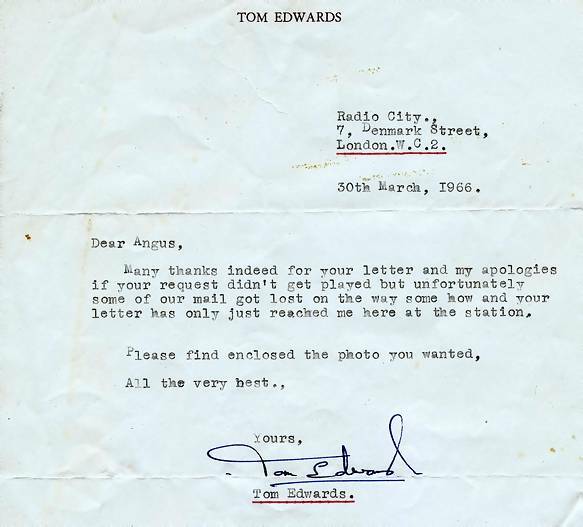 Letter from DJ Tom Edwards. 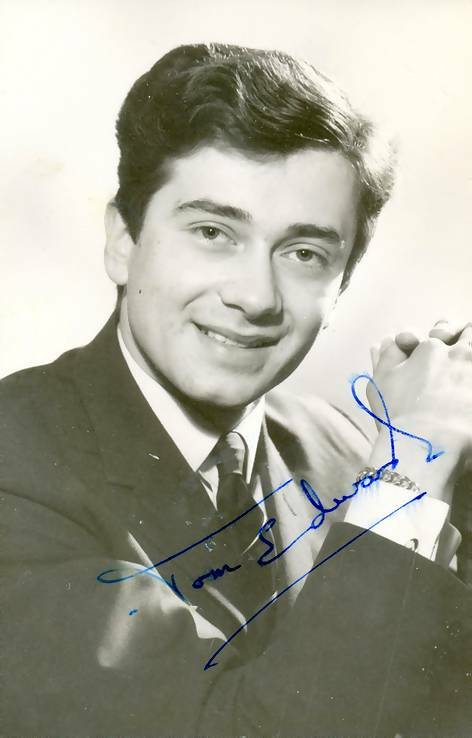 Autographed photo of Tom Edwards. 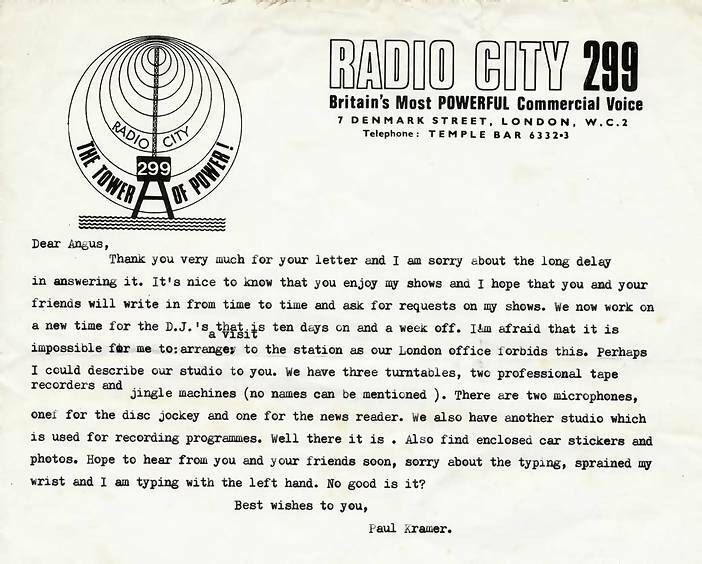 Letter from DJ Paul Kramer. 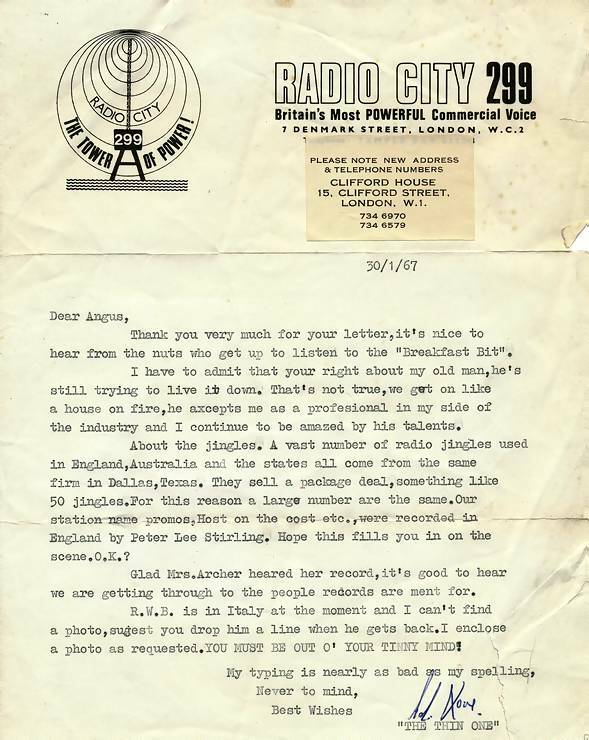 Letter from DJ Adrian Love. More from Angus's collection over the page.